Wetlands are ecosystems whose formation and characteristics are largely dominated by water. There is a great variation of wetland type throughout Europe, linked to the diversity of climate, landform and human intervention. They have specially adapted flora and fauna. Three main wetland ecosystem types can be distinguished. Bogs are low-nutrient, peat-based ecosystems maintained by precipitation and dominated by mosses. Forested bogs are found in sub-tundra and in the pre-Alps, where they are characterised by mountain pine. Fens are due to waterlogging by mineral-enriched groundwater and are characteristically peat-based. Sedge and reed vegetation is generally succeeded by scrub and woodland unless management intervenes. Marshes are non-peat forming herbaceous wetlands, which may be temporarily, seasonally, or permanently waterlogged or flooded. They are common around lakes and on river floodplains, where they may form mosaics with floodplain woodlands. Wetlands form essential linkages and buffers with other ecosystems, and play a key role in carbon dynamics. They are used by migrating birds and fish to complete life cycles, and generally are habitat for many highly specialised and often rare or endangered species. Wetlands are particularly sensitive habitats, threatened by a range of indirect as well as direct threats. Alterations in temperature or nutrient levels, or in the quality or quantity of the water supply will change the character of the habitat, affecting species survival and the ability of the wetland to provide benefits to human communities. The hydrology of wetlands (which is controlled largely by precipitation and evaporation), particularly periodic saturated conditions, creates the physicochemical conditions that make them different from well-drained terrestrial or fully aquatic deepwater systems. 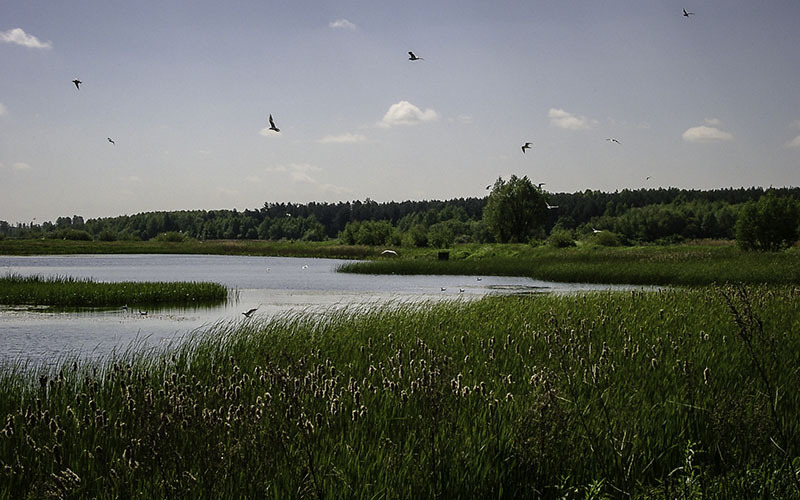 Consequently, wetland ecosystems are likely to be altered because climate changes will have direct impacts on precipitation and indirect impacts on evaporation (through changes to temperature and other variables, such as radiation and wind-speed). Cízková H, Kvet J, Comín F a., Laiho R, Pokorný J, Pithart D (2013) Actual state of European wetlands and their possible future in the context of global climate change. Aquatic Sciences, 75, 3–26. Junk WJ, An S, Finlayson CM, et al. (2012) Current state of knowledge regarding the world’s wetlands and their future under global climate change: a synthesis. Aquatic Sciences, 75, 151–167.